Orange Oil Update - Ultra International B.V.Ultra International B.V. In July this year, the USDA released its crop forecast figures for Brazilian orange production of 16.0 million MT for the current Brazilian marketing year July 2018 to June 2019. This is around 23% lower than the last crop. The primary reason behind this year’s low prediction is that the trees are stressed after surprisingly good yields from last season. Consequently, the groves are expected to produce less fruit. Also, the arid weather and high temperatures in São Paulo and Minas Gerais States damaged blossoms, and were big impediments to the fruit setting. Local sources cite insufficient rainfall as another cause of worry and reason for further crop reduction. The industry awaits with great interest the second Brazilian orange crop estimate by Fundecitrus, due to be released on September 10th – coinciding with the opening of IFEAT’s 2018 Cartagena Conference. To summarise, there will be restricted quantities of orange oil supply due to decreased crop size, oranges available for processing will be significantly less than the last crop, prices are likely to escalate for the new crop, demand is firm for orange oil because of limited inventory, most sources are reluctant to commit on long term contracts in view of the prevalent uncertainties, and, with the Florida orange crop being extremely low with an unwavering demand, the additional pressure on Brazil is tremendous. The Florida Citrus Commission reported that the 2018 / 2019 orange crop, due to commence in the fall season, is predicted to be at 60 million boxes. The Florida industry is reeling under the crisis of the 2017/2018 crop, a record low in more than 75 years. Florida witnessed severe attack of citrus greening that destroyed a large percentage of orange trees. The market was slowly limping back to recovery with an expected improvement in crop of about 75 million boxes, which would have been the first upward trend in several years. However, the hurricane Irma struck on September 10, 2017, and once again Florida witnessed a harsh setback. Over the last ten to twelve years, crop sizes have decreased considerably due to citrus greening. This fatal bacterial affects the vascular systems of citrus trees and thus hinders nutrient uptake. Though the tree yields fruit, the fruit size and quality are impacted and the cost of production shoots up. 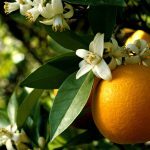 Since the discovery of greening in the fall of 2005, the Florida orange crop has shrunk by over 70% from 242 million boxes in the 2003-04 season. The state ranks first as USA’s primary orange-producing state and the third largest in the world after Brazil and China. According to studies conducted by USDA / NASS, approximately 95% of all oranges grown in Florida are processed for juice.